Has Physics Gotten Something Really Important Really Wrong? : 13.7: Cosmos And Culture It's possible that string theory or the multiverse may find strong links with data, but a recent book provides a view of what a truly different philosophical approach would look like, says Adam Frank. Sometimes the most important step one can take in science is back. This week, I have the immense privilege of attending a workshop asking about this approach in the storied domains of foundational physics and cosmology. 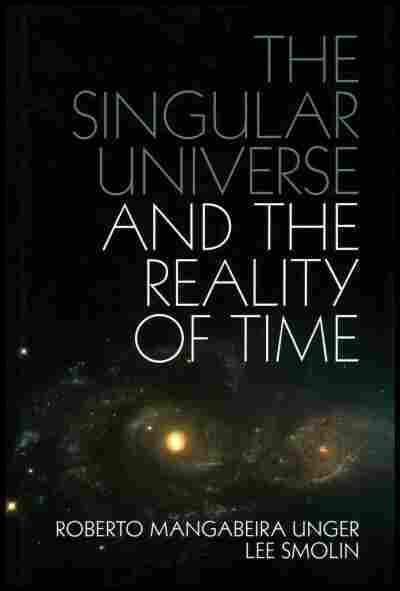 Two of the workshop organizers, physicist Lee Smolin and philosopher Roberto Unger, published a book last year called "The Singular Universe and The Reality of Time". It represented their own attempt to rewire the philosophical underpinnings of physics. As the workshop gets underway, I thought it might be useful for 13.7 readers to get an overview of its main ideas (I'll eventually do a post on the meeting and its discussions as well). To begin with, it's important to understand how much cosmology and physics has gotten right. Our ability to map out the history of the universe back to a fraction of an instant after its inception is a triumph of the human intellect and imagination. And because that history could not be told without a detailed description of matter and forces at a fundamental level, it's clear we've done something remarkable — and remarkably correct. It's the next steps down into reality's basement, however, where the trouble seems to begin. Some researchers now see popular ideas like string theory and the multiverse as highly suspect. These physicists feel our study of the cosmos has been taken too far from what data can constrain with the extra "hidden" dimensions of string theory and the unobservable other universes of the multiverse. Of course, there are many scientists who continue to see great promise in string theory and the multiverse. But, as Marcelo and I wrote in The New York Times last year, it all adds up to muddied waters and something some researchers see as a "crisis in physics." "Science is corrupted when it abandons the discipline of empirical validation or dis-confirmation. It is also weakened when it mistakes its assumptions for facts and its ready-made philosophy for the way things are." Thus, the goal of The Singular Universe and The Reality of Time is to take a giant philosophical step back and see if a new and more promising direction can be found. For the two thinkers, such a new direction can be spelled out in three bold claims about the world. There is only one universe. For lots of folks, this might seem like a no-brainer. The "uni" in universe is supposed to mean "everything there is." Over the last few decades, however, multiverse cosmologies have gained acceptance via both inflationary Big Bang models and the "landscape" of string theory, which appears to predict 10500 possible universes. Unger and Smolin push back against these developments saying the proper field of study for cosmology is the one universe to which we have access. As Unger puts it: "We have reason to believe in the existence of only one universe at a time, the universe in which we find ourselves. Nothing science has discovered up to now justifies the belief that our universe is only one of many... The multiplication of universes in contemporary cosmology ... has been the outcome of an attempt to convert ... an explanatory failure into an explanatory success." Time is real. This might also fall into the "duh" category for people unfamiliar with the current frontiers of theoretical physics. But there were some good reasons why some physicists began thinking time might not be fundamental to reality. Instead, they began to explore how time might be emergent. That would mean time comes out of some deeper level of structure that exists entirely without anything like duration, past or future. But for Unger and Smolin, denying the reality of time allows physicists to skirt the nature of change on its deepest level. Mathematics is selectively real. 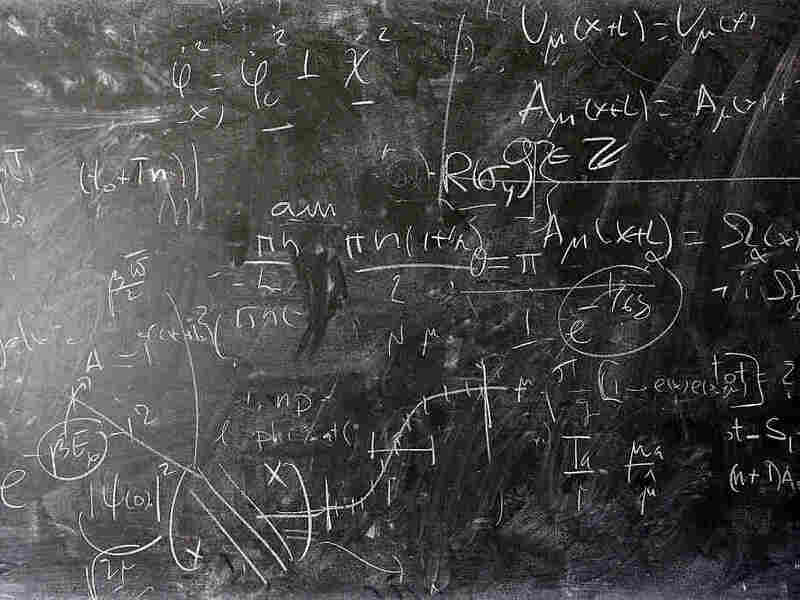 We physicists love our equations. They are so powerful that we often become convinced they are real in themselves. It is that way that we become platonists making mathematics a kind of skeleton on which the flesh of the world is hung. But for Unger and Smolin, this reification of mathematics can lead physicists into dangerous territory where mathematical "beauty" and "elegance" get substituted for real information about the real world. As they put it: "Our mathematical inventions offer us no shortcut to timeless truth... They never replace the work of scientific discovery and of imagination. The effectiveness of mathematics in natural science is reasonable because it is limited and relative." Taken together, these three claims constitute a significant departure from mainstream ideas in physics. But their most important consequence is that nothing, not even the laws of physics, live above time. The universe is time-bound and time-saturated. Thus, there is no eternal reality of perfect mathematical form. Even the laws of physics themselves must be subject to change. That is the most radical of Unger and Smolin's radical ideas. Developing an account of how the laws of physics change, however, also means understanding how it must all play out as a one-time history. From their perspective, physicists can't imagine the universe as one of a vast "ensemble" of universes where different "structural" options (different laws) can be explored. Instead, the Cosmos happened just once and it led to what we are today. As Unger and Smolin put it: "Cosmology must be a historical science if it is to be a science at all: a historical science first, a structural science only second, not the other way around." "In the history of Western philosophy, the line of thought that affirms the impermanence of structure has spoken in the voices of thinkers as different as Heraclitus, Hegel, Bergson and Whitehead. Among the philosophical schools of other civilizations, notably those of ancient India, it represented the hegemonic metaphysic." A couple of months ago, I wrote about the great debate between the philosopher Henri Bergson and Albert Einstein over the role of philosophy in discussions of time. That contentious historical echo makes it all the more remarkable to see Bergson (and Indian classical world views) making an appearance in a book about re-envisioning cosmology. There is a lot in Unger and Smolin's book that I find both bracing and exciting as I work my way through the text. It must be remembered that the program they advocate constitutes just an outline — a beginning — for a new approach to physics. It's not at all clear that something truly useful can be made of it. But by taking on the task in its full measure, they offer us a view beyond the status quo of the last few decades in cosmology and foundational physics. While it is entirely possible that string theory or the multiverse may yet find strong links with data, what Smolin and Unger offer is a view of what a truly different philosophical approach would look like. That, in itself, is worthwhile.